Quality – we pride ourselves at Jewel on delivering high quality, bespoke programmes and ILM allow us to do just this. The standards are high and the assessment criteria are robust and challenging enough to develop any learner to a high standard. Flexibility – at Jewel Training we appreciate the flexibility of the make-up of the ILM programmes. Any qualifications from any level can be tailored to exactly what our clients see as the priorities for development and the standards they want to see in their leaders and managers. In addition, we are able to design our own programmes for a client and then get them “stamped” by ILM as a Development or Endorsed programme. Relationship & Support – one of the significant factors for staying as an ILM centre is the relationships we have built with ILM staff and the support we get from them. 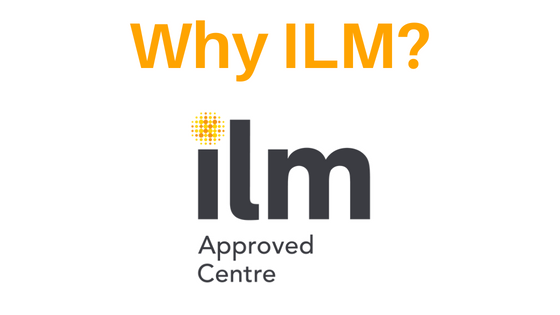 We have outstanding information, advice and guidance from our ILM team. We are constantly updated and informed about new developments such as the new Apprenticeship programmes and the latest coaching qualifications. Plus the website is full of relevant information and resources that, not only do we use ourselves, but as soon as we register a learner, they can have access to it too. Credibility – ILM provide internationally recognised qualifications and the name “ILM” is associated with quality qualifications. We love that ILM pride themselves with developing ‘Leadership without Limits’ and will undertake research on leadership themes to ensure that they are as up to date as possible. What a great strap line! Whilst there are other awarding organisations out there – we are also a City & Guilds and a Pearson centre – Jewel is a big fan of ILM! Please take a look at the ILM qualifications we offer at Jewel, including our approved programmes developed for delivery in-house. We are running ILM Level 3 and Level 5 programmes open to all, at our new training facility at Howbery Park. Level 3, new first line managers, starting in September and Level 5, for middle managers, in October. For full details and workshops please visit our ILM Open Courses page.